Who What Wear UK readers know that we love everything—and we do mean everything—about French style. Parisians, in particular, are known for embodying the word "chic". They seem to intuitively know what looks good, and they never try too hard. 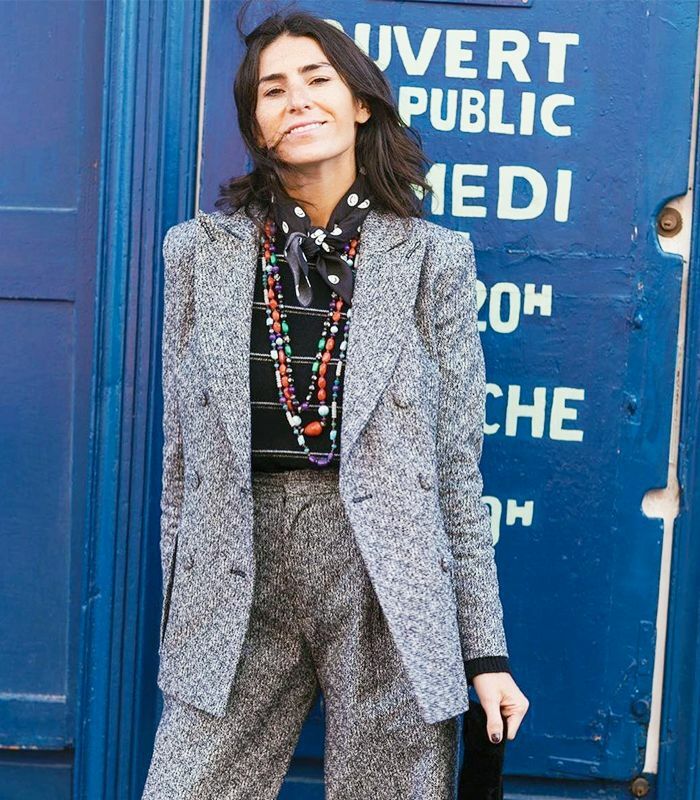 Instead of speculating from afar about what makes a truly Gallic wardrobe, we asked blogger Deborah Reyner Sebag, aka The Daily Deb, to give us some of those coveted style tips. Here she finally tells us the secret as to why French women, and particularly Parisian women, tend to dress the same and the chic way to do it. Like most fashion people, I am often attracted by more "on-trend" pieces. However, I end up buying wardrobe staples (such as a trench coat) that I won't tire of, which is a classic French thing to do. That said, I sometimes break up looks with more eccentric accessories to bring out a bit of my personality. Parisian women do have slightly different ways of dressing (although it's still very similar), but our fashion references and style icons tend to be the same. We all have a little Jane Birkin, Brigitte Bardot, Mireille Darc, and Françoise Hardy in us when it comes to deciding what to wear. Every French woman owns a pair of decent blue jeans (preferably Levi's 501s) and a Breton top. She'll wear them in her own way, but you'll always find these two pieces in her wardrobe. #4: Print Clashing Is a "No-No"
Parisians aren't adventurous when it comes to colours or prints (especially not clashing prints), and we avoid anything that could be described as "bling". We tend to leave that to the Italians. A pretty blouse, jeans and a pair of heels. And just like that, the secret is revealed.